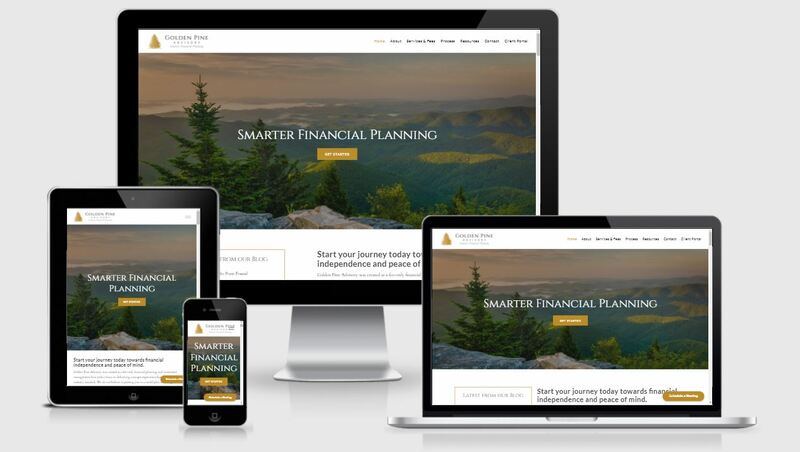 Choosing the best website provider for your financial planning business can be tricky with so many options. You will find an array of price points, support, and features, but one key element that is crucial to pay close attention to is the platform’s SEO capabilities. You wouldn’t want your CMS (content management system) to get in the way of your SEO strategy, would you? Rather, your CMS should fuel killer SEO rankings. What is the purpose of your website? Make sure your CMS supports it. 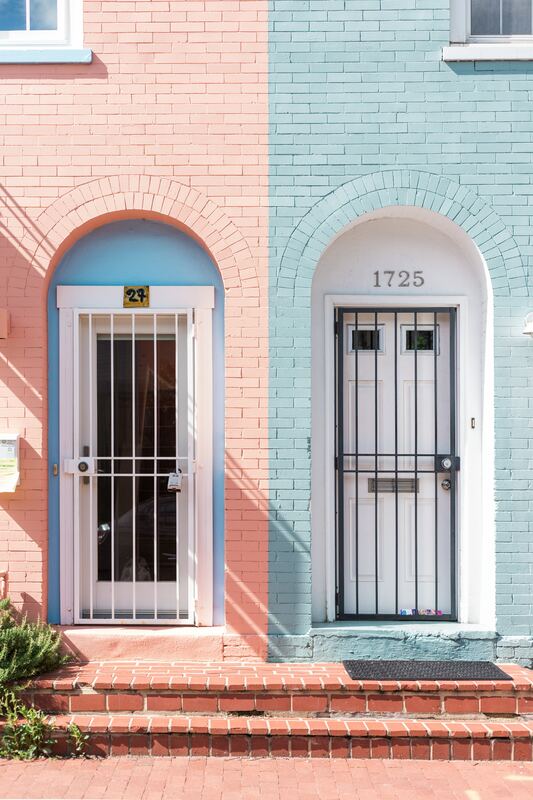 What is the goal of housing your business online? You are most likely looking for a website provider to market your advisor firm digitally. Well, you can’t do that if prospects and clients can’t find your website! Having SEO features and capabilities contribute to your search engine ranking, your chances of landing on the first page of search results for your prospects’ searches, and actually making contact with them. Not to mention that these features not only communicate to the search engines, but some features are also client facing and make their online experience a whole lot better! Your website’s sitemap is the way you organize your website, including pages, subpages, headers, and the rest of your content. Think of it like an outline for your business! 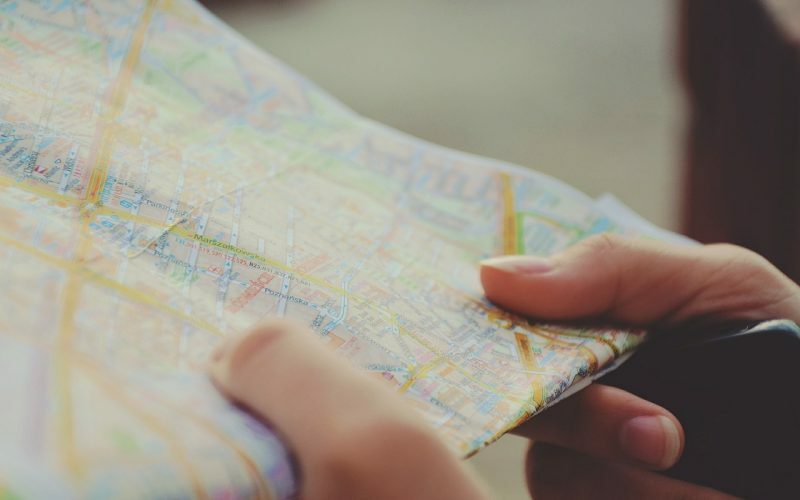 You’re sitemap and overall website structure should make it easy for prospects and clients to navigate and be organized logically. This is important for those visiting your site but it’s also necessary to effectively communicate to search engines. Search engine crawlers use the sitemap to reference what content is on your site and best match it with similar searches. 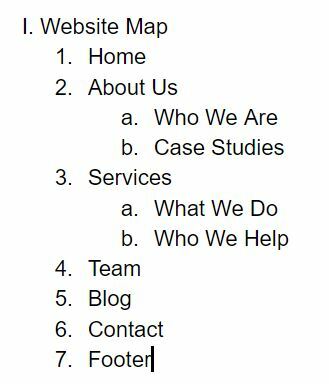 This is one example of how we begin writing the copy for our clients’ websites, with the sitemap. Every website on our platform, whether you’ve decided to use our self builder package or are working with our internal team of copywriters and designers, has an XML sitemap. 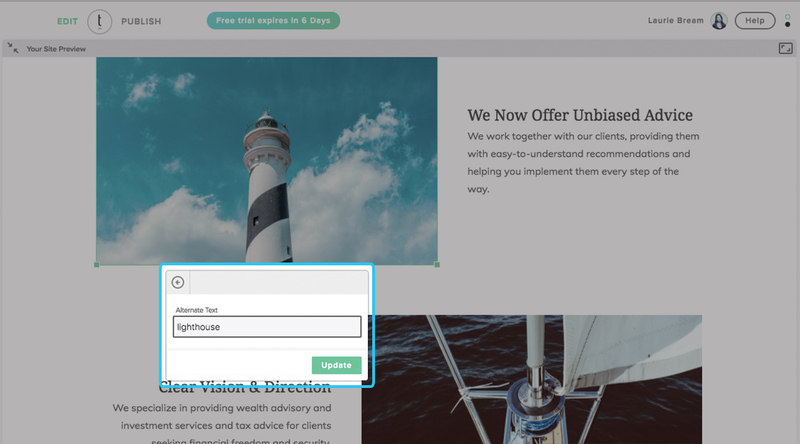 Our platform continuously generates updated XML sitemaps for your website so as you add or remove information and pages, search engines will be notified if these changes. It’s critical to have full control of the content on your site. You’ll want to choose a website provider that allows you to edit, add, and remove information from your website as you please. Not only do you want to provide the most updated content to visitors and search engines, but there are many small changes you can make to boost your SEO ranking. This includes adding keywords throughout the text and header tags on your site, and adding backlinks to other useful pages and blog posts. These are edits you’ll want to make along the way and on your own time as your business and website evolves. 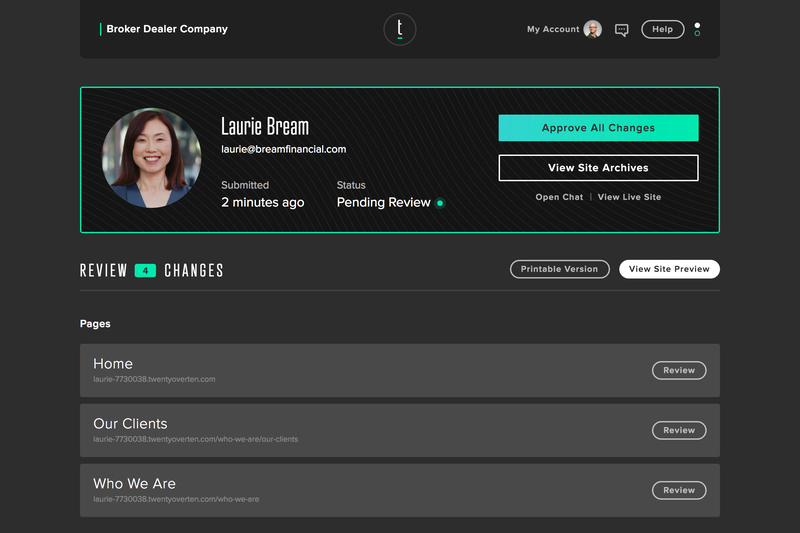 Twenty Over Ten’s platform allows you to personalize and customize your content in an easy to use platform. This way your website can develop and progress as you do. 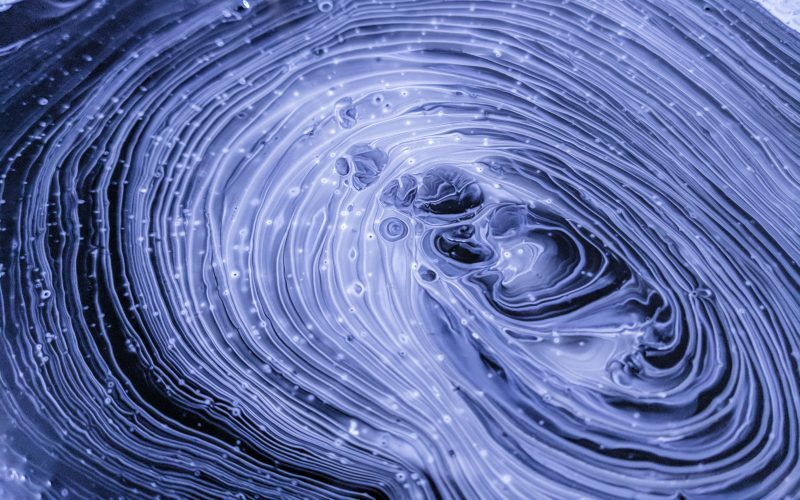 We also have a robust set of compliance capabilities so advisors can still review and request changes in the same platform their broker dealer will approve and publish. Blogging may seem like a simple feature but it’s jam packed with dynamic benefits. By blogging you can connect with your target audience, build trust, showcase your expertise, and be part of trending conversations. Along with added keywords and killer content, you’re ultimately driving more traffic to your website and landing higher in Google and other search engine rankings. If you are deciding between CMS providers, keep this component high on your must have list. 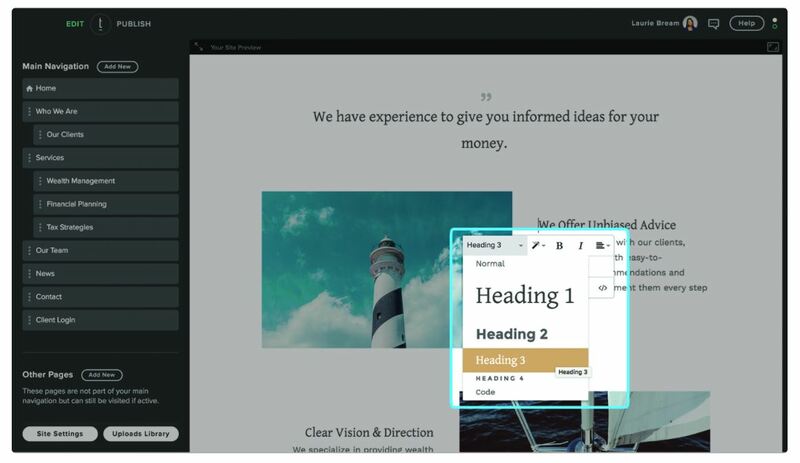 With our roll out of V2, we expanded blogging capabilities on the Twenty Over Ten platform and later introduced Content Assist. 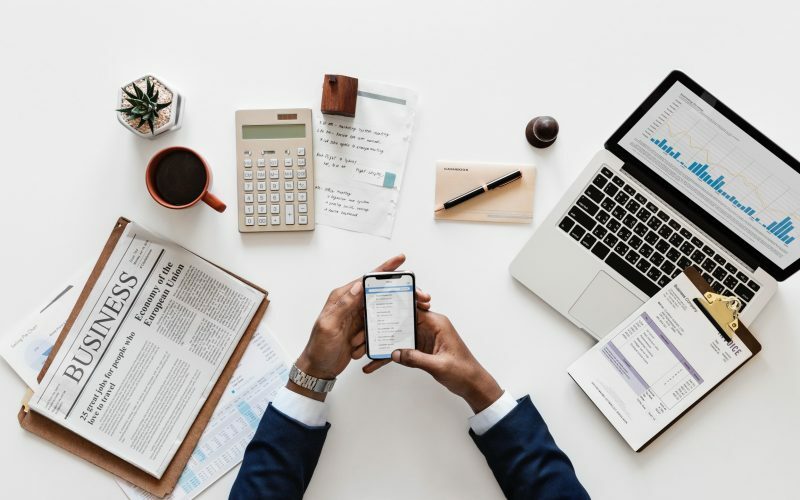 We know blogging is not everyone’s cup of tea and can take a chunk of time from your regular financial services duty, so it was no longer enough just to offer blogging capabilities. 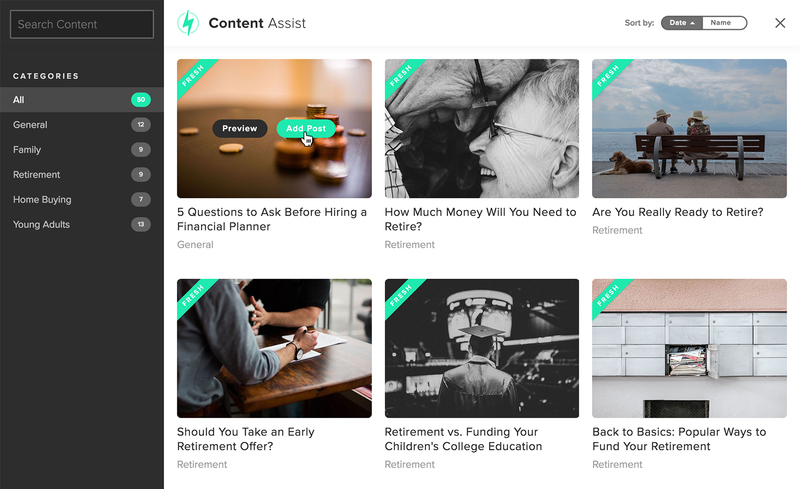 Now we’re making it easier than ever to create, edit, and optimize your blog posts for search engines with Content Assist. This service is included at no additional cost in all of our website packages! Metadata is essentially a short description about the page or blog post. It’s a summary that tells search engines and online searchers what they will find at your specific URL. The first is to tell a searcher what they will find on your page and keep note that a well written meta description can make the difference of someone clicking on your site in search results or not. The second is to communicate to search engines what content lies on this site. It is important to appeal to both, increasing your chances of landing in the search results of your prospects and then getting them to actually make contact with your page. When choosing a CMS, you should have full control to edit meta descriptions for each and every page of your website within your CMS. Otherwise they may be left blank or with unnatural generated sentences that won’t help your SEO or prospective clients. 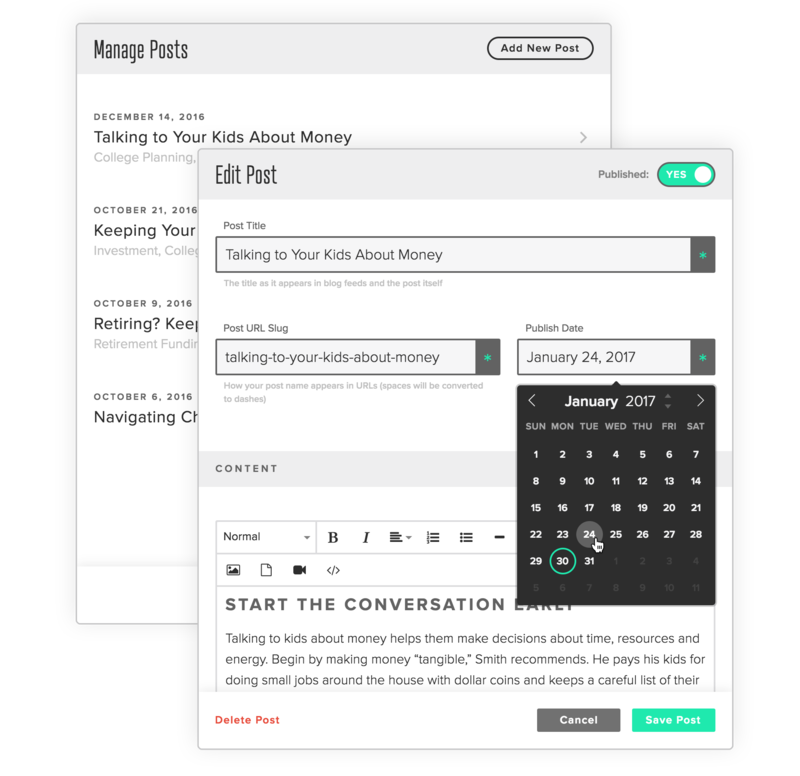 On Twenty Over Ten’s platform, adding metadata for your site pages and blog posts is easy as🍰! We recommend making your meta descriptions around 150 words without repeating the title of the page or blog post. Be sure to also add keywords into your descriptions but only naturally. Having a mobile responsive site is something you can’t ignore. To be blunt, if your website is not mobile responsive, it’s time to switch providers! This is now a necessity for your website. With more than 50% of searches coming from mobile devices, most of your prospects will be searching for financial advisors on their phone. You want to find a provider that will give the same excellent experience, regardless of what device your visitors use. Not only is this important to the user experience, but Google and other search engines will knock down your ranking if your website is not mobile responsive. Don’t let your provider hurt your SEO when there are many that will help boost it! Here at Twenty Over Ten, we are dedicated to creating websites that are beautiful and created with a mobile-first approach. You will find that all of our frameworks are mobile responsive and offer your site visitors a seamless experience regardless of the device a user views your website on. Originally used to describe images to those who are visually impaired are now most commonly used to communicate what the image is to search engines. Alt tags are meta text that your visitors won’t see, but text you can attach to each image. This is a place to make images you use in pages and blog posts relevant to your content, maybe even with some natural use of keywords. Just having alt text gives the search engine more information and can help your SEO ranking but also aid in matching you to prospects looking for your services. Does your CMS ensure that you are adding ALT tags to any images you add to your content? It should. 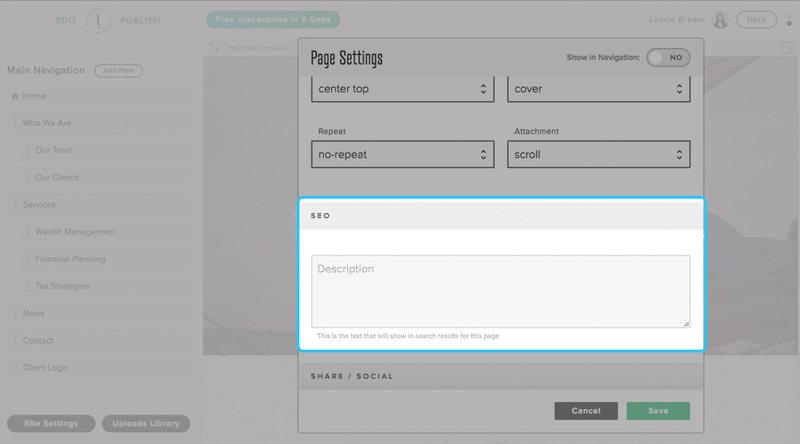 Adding alt text, or alternative text to your images on the Twenty Over Ten platform can be done in under 5 seconds. You probably haven’t heard as much about W3C, but you have to keep it on your radar while choosing a CMS for your business. The World Wide Web Consortium developed a set of standards that any website should adhere to. They encourage coding that will work with a wide variety of browsers and operating systems. There is a misconception that your website needs to be 100% compliant, but because the standards are extremely strict, most websites are likely to have a lot of errors. However, having a website provider that is compliant will give search engine crawlers the information they need to give you a good index and elevate your SEO ranking. If your CMS can check W3C compliance off this list, it can also ensure that your website will provide users will have a positive experience no matter how they are accessing it. Twenty Over Ten makes sure to hold W3C compliance so clients can reach their prospects.